 The Lymington Seafood Festival would not be possible without our stallholders…we are lucky to have some truly amazing artisan producers and restaurants in the region and the Lymington Seafood Festival is an opportunity to celebrate them. The Lymington based fishermen brothers, the Hockley’s, are delighted to invite you to sample their dishes. They will be offering the finest and freshest seafood available. The menu includes fresh Lobsters and Scallops grilled over charcoal, Panko bread crumbed Prawns and Squid as well as delicious Whitebait and spicy Piri Piri Mackerel. All will be served with the option of chargrilled new season Sweetcorn. Amusing name but serious food. Over recent years, Flint and Flame have become a major player in the UK kitchenware scene with their outstanding range of knives. Made from the highest quality German carbon steel and with beautifully contoured, ergonomically designed handles Flint and Flame knives are celebrated by top chefs and passionate home cooks alike. Their knives make a fantastic addition to any kitchen. Pop up bar serving beers, ciders and soft drinks all from their super cool converted horse box! Bold and beautiful home furnishings, textiles and giftware. Passionate about Preserving. Specialising in Chutneys and Pickles, an extensive range to suit all taste buds. Established in Borneo now small batch made on the Isle of Wight. Hampshire based pop up rum shack serving rum cocktails and sipping rums. A taste of the caribbean brought to Lymington! We hand make natural healthy ice lollies. Our ice lollies that taste amazing are also free from lactose, dairy, gluten and nuts. The lollies come in a great range of interesting and inventive flavours that are for the whole family to enjoy. Black cow is the world’s smoothest vodka, made purely from milk! Whey has historically been the problem child of the dairy industry. There is an excess produced in the cheese making process. We take this under-valued by-product and turn it into a superior premium vodka. We take great pride in our economical use of nature’s bounty. Black Cow vodka is the perfect partner for pairing with food. Regional hotel group running a pop up restaurant serving oyster Po’boys! Award winning family run seafood supplier, fishing the south coast from their boat the Marauder serving lobster mac n cheese and lots of other fishy treats! Artisan street food co. selling gourmet grilled cheese sandwiches, look out for the Lymington crab sandwich! The principal aim of Go New Forest is to market the New Forest as a quality destination through co-operation with all interests, to enhance our environment and grow business. Family run street food & event catering co. Serving delicious dishes forged by the seasons. Menu includes steamed Mussels, Alexanders and Caper Fish Cream Crumpet. Flaked Hake, Coriander and Smoked Garlic Naan. Devilled Selsey Crab Rarebit and Marmite flat bread. Smoked Roe Taramasalata and Nettle Toast. Chargrilled Fillet of Mackerel and Harissa Fried shellfish. Dorset based South Street Kitchen with a pop up street food kitchen serving delicious crispy chilli squid and salt and szechuan pepper chilli squid. From their second stand amazing fish fingers baps! A whole array of delicious fresh seafood and shellfish including handpicked white and brown meat, dressed crab, seafood pots (whelks, crayfish tail, prawns, and mixed pots, crab sandwiches and wraps and seafood chowder! Deliciously wood fired pizza from their wood fired oven! Regional food producer passionate about sustainable fishing serving a delicious menu of crabbie fritters, fishcakes and griddled or cold lobster salad! Hampshire based, delicious handmade dumplings served from their Citroen H van Vinny! Including their Lobster Thermidor dumpling.. lobster & prawn, parmesan rosti and thermidor sauce as well as the Goan Seafood Curry Dumpling!! Liberty Loves specialises in delicious handmade cakes and tarts that are Gluten, Dairy, Egg & Soya Free inc Vegan. Manufacturers of award winning ice cream made with fresh milk, thick double cream and an abundance of delicious flavours! Award winning Hampshire bakery producing a large range of handmade baked goodies, look out for their fish special! Delicious fresh local shellfish, cooked to order: Seabass Fillet on a bed of rice with salsa salad, scallops in a shell Italian pancetta & salsa, king prawns marinated in sweet chilli on a skewer. As well as a range of cold seafood including cockles, whelks and prawns. Meadowbrook Produce based in Sway specialises in sourcing, growing and maturing produce for local New Forest and Dorset chefs. serving hot smoked salmon, prawn and sweet pepper skewers, smoked chicken and crayfish wraps, wagyu beef brisket and much more! with salads and homemade sauces or their Shrimptastic box: 6 dill- battered shrimp with hand-cut, twice-fried chips and samphire! Beautiful handmade British crumbly gluten free fudge made with no additives, preservatives or colourings. Makers of delicious juices. Squeezed from Isle of Wight tomatoes that are hand-picked in small batches straight from the vine for the ultimate flavour and properly spiced for the most sublime drinks.